A heads up to anybody bidding on this item. These wheels were stolen from my garage and the matter is being investigated by the police. Please do not bid on them. Having a 250 Cup a know for a fact it is going to be a fantastic car in pure isolation as a driving machine. The problems is in IMHO is that 1) the car STARTS at 60k, once you spec it with the gold paint, titanium exhaust, air con etc is becomes a 70k car which is a lot of money for an Elise in anybody's book and 2) the new model is only a couple of years away. 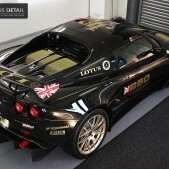 Not sure what customer demographic Lotus are going for with this car. It's very expensive for a road car/track day car and not exotic enough for anybody who has the money for a pure trackday toy i.e BAC Mono, Radical etc.To most people the basic Sprint would do almost as well as the 260 Cup and certainly more in the bangs for bucks stakes. 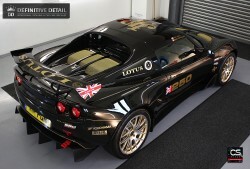 The fact that no one on this Forum has bought one, which is a Lotus fanboy site, speaks volumes. So it appears to be neither a car for Lotus fans looking for a step up and hardly the car to tempt people new to Lotus products. After all notwithstanding the competition there are lot more models in the Lotus line up that would appear to make more sense to those buyers. Saying that I genuinely looked to px my original 250 Cup for one for the reason you mentioned, but the differential of 35K for a year old car did not make any logical sense. Better off saving more pennies and get an Exige 430 Cup, which makes more sense (or a little more sense) or waiting only 2 years for the new model knowing Lotus is bound to make the car a big step up in terms of development. My issue is this, as a die hard Lotus fan having owned an original S1 Elise/340r/Exige GT3/211/V6Cup and currently n Elise 250 Cup is that Lotus not only appear to be losing the plot but appear to have no respect for either their client base or their dealerships. i get that all car manufacturers produce various versions of their models, what I object to is that the bring out a newer better version before the initial buyers of the previous model have even received their cars. i am sure anyone who have ordered a 430 Cup Evora must be wondering if there will be a 450 etc version before they even have their car parked in their garage. And that is my point are Lotus shooting themselves in the foot by it only raising the bar in terms of pricing, but are they actually stopping people buying the so called high end “limited editions” when a better version is only months away. it will certainly be interesting to see how many dealers now order one for their stock. How did you order yours? It never stops... 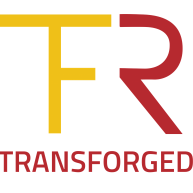 Exclusive Rear Lamps by TFR! 340R sells for £69k ! !